from time to time I’m building OREO e-Rom for me or some users. I think there will be also users who are building for her own devices. So I think it would be a good idea to have a section here in forum where the users can upload the unofficial roms. In the moment I have saved them on my e-drive, but the 5GB are not enough for that. Good suggestion. Let me check if this is possible on the e infrastructure. Hi @harvey186 checked on this and there could be an issue here as many users customize their builds with non /e/ specific apps. This can cause an issue for users. Alternately there is a suggestion. How would you like to be the official maintainer for your device? This will require an interaction with @rhunault who amongst other things is also the build master for /e/. That way the storage issue will also be resolved as it will be stored on /e/ servers. This request is not only for @harvey186 but goes out to all users who can help with the build for their particular devices. Share your details here and we can have you on the team as a Device maintainer. This give us an opportunity to build with a physical device and more importantly a dedicated user who can also test the build out. thx Manjo fo checking it. And NO, I don’t be involved more than I’m be today. The reason is that everytime I read something from Gael I think: Wow, the guy really don’t know what he is talking about or he really knows Android or OwnCloud ? No he can’t, otherwise he won’t talk such a wast. I really wish that Gael would go deeper in detail of the work of his e.foundation work. 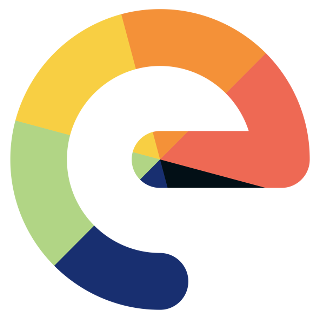 e is LOS with some small cosmetics, same as e.drive, it’s Nextcloud with some cosmetics. And not more. So, I will try helping some users where I can. But that’s it. Otherwise I will getting more and more sad about this project and Gael. Hi @harvey186, I think this is an entirely wrong assumption. He never meant that when he asked you to help with the HOWTO’s. In fact I also thought it would be a good idea as a lot of people including I myself would like to know how you managed to synchronize everything including news. To be honest it is not exactly easy. You were able to do it so it may appear as easy to you. The last time I tried setting up NextCloud on my Ubuntu - it worked but I ended up spoiling my docker build configuration So I had to format my PC and reinstall everything. Also others in my family also use my PC. So to date I have not setup Nextcloud because I do not want to break up what is already working. Anyway I respect your choice to decide how much and where you can help.